IMMACULATE!!! 2.50 CARAT T.W. RUSSIAN CZs.... Featuring 5 0.50ct stones. Gorgeous hand-made piece!!! Beautiful, Hand-Crafted, top quality Jewelry workmanship!!!.... Nice heavy ring & shank. 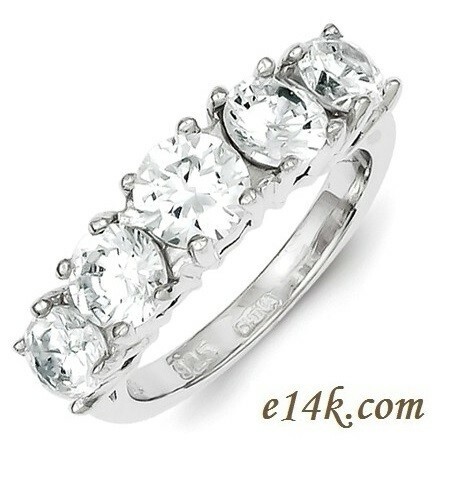 Large enough to be worn alone or as a set with item E5328SS!